Adrienne is a mom of 4, wife and preschool teacher. She's the artist behind "Personality Plus Boutique" on Etsy. 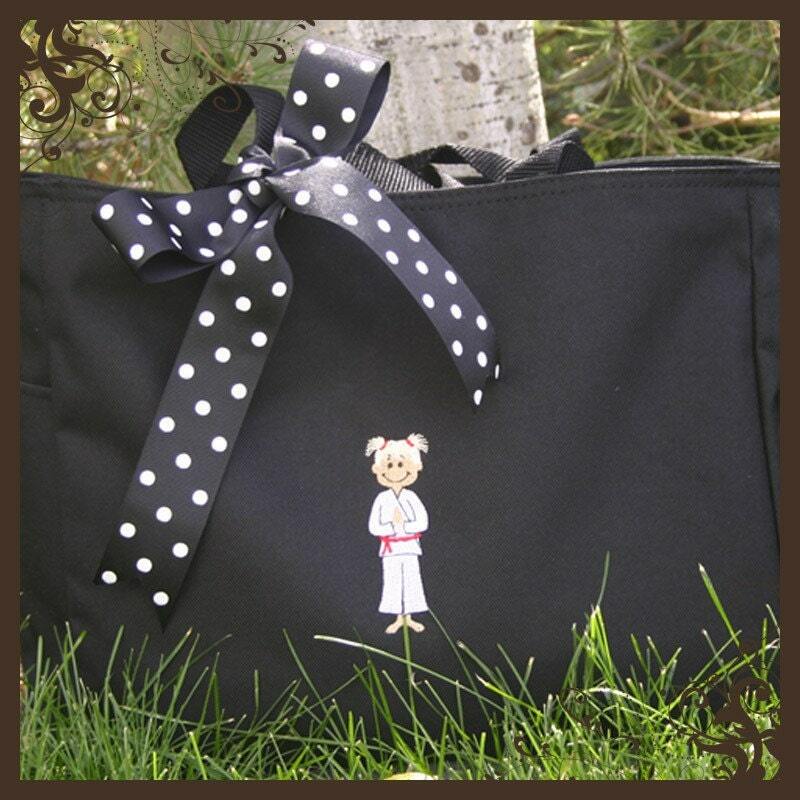 Browse through her shop to see a wonderful assortment of personalized tote bags, towels, and baby items. I LOVE the bag pictured on top. 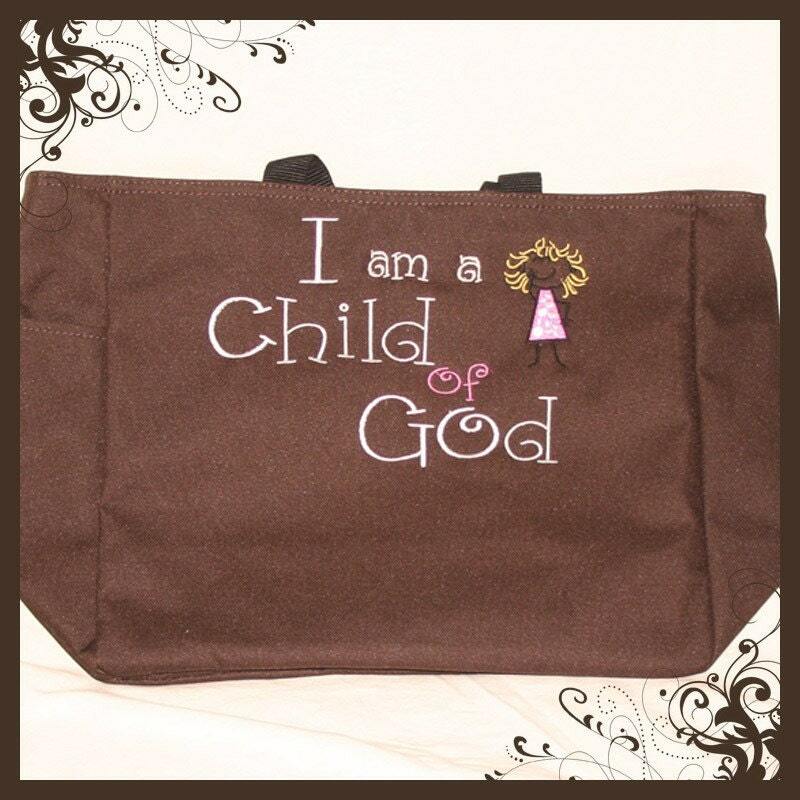 When my daughter is old enough to start carrying a tote around, she will definitely have this. Right now the bag is probably still bigger than she is, so it will have to wait a little while, but I know where to go!! My friend Stephanie has a daughter in karate right now, and decided to try her hand in it herself, and I had to show her this bag. I told her it would be a great Christmas gift! Andrienne is dedicated to bringing you unique, quality embroidered gifts at an unbeatable price! She loves to customize orders so if you want something specific let her know and she'll be able to let you know if it's do-able! She also offers bulk pricing, so if you have a group that wants the same product (it still can be personalized with their name!) then let her know and she'll get you a quote. Check out my blog for to see MANY options on what you can do with her products!